Greetings from the Mother Country. I don’t know what the weather like is where you are but here it’s very chilly, Billy! It’s the first time in what seems like forever that I’ve had to wear a coat! (And a scarf, hat and gloves!) That said, let’s warm up with some weekend reading down the rabbit hole. Now today is National Pretzel Day – yay! If savoury pretzels float your boat, check out these Homemade Cheddar Garlic Pretzels and these Soft Beer Pretzels with Beer Cheese Dip. Me? I’m eyeing off these Giant Cinnamon Sugar Pretzels with Hot Fudge Dipping Sauce. I think they have my name all over them. Whether or not you’re a parent, grandparent or someone with special small people in your life, these 20 meaningful questions to ask children are going to come in super handy and are such a great way to start valuable dialogue. Still on the subject of children, I was all over this why kids need minimalism. So many take aways here for all of us, with or without children. Mother’s Day is fast approaching and for the first time in years, I’ll be with my mum on the big day. I’m thinking the best gift we can give our mums is time and love because let’s face it, they are two of life’s most precious commodities. I love this minimalist-ish Mother’s Day gift guide and if you missed it, check out my Mother’s Day Giveaway featuring some words of wisdom from some very inspiring mums plus you could score a SodaStream for not just mum, but the whole family! Sticking with the minimalism theme (after all, it is my favourite these days,) let’s go with some minimalism for the mind and how not to worry about the small stuff. I’m all for more happy and less stress, I’m going to be all over these 9 things happy people do to stress less. I won’t be doing much real time travelling this trip but I will be doing some armchair travelling, checking out these 12 gorgeous places you have to see when visiting Great Britain. I’m ashamed to say that although I lived in the UK for 36 years, I’ve only managed to cross one item off the list and that was the free museums! I think my mum’s home town of Lincoln should be added to the list, it has more history than you can shake a stick at! If you love a happy ending as much as me, you’re going to love this last link, where a bridal party swaps bouquets for puppies in what has to be the most adorable wedding shoot ever and a great way to highlight the importance of pet adoption. I wish I had swapped our posies for puppies when we got married. So tell me, what are your plans for the weekend? Are you on Team Pretzel too? Do you worry about the small stuff or do you just let it go? What gifts do you like to give and/or receive on Mother’s Day? If you’ve been to Great Britain, what was the most gorgeous place you visited? What would you swap your wedding bouquet for? Have yourself a very merry weekend! 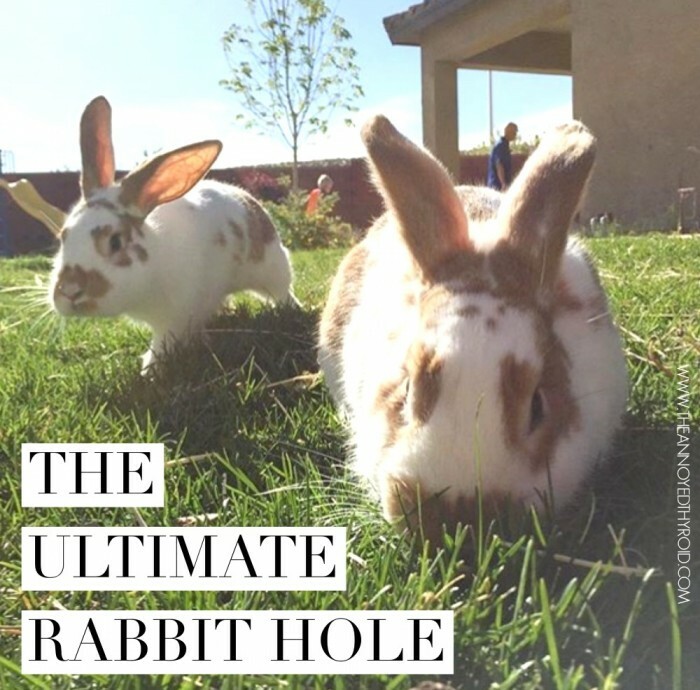 Every Saturday morning, we will open up the rabbit hole link up for bloggers to add their link list posts or even just their favourite post (if you are not of the link list kind) for the week. Please link only one post. This makes it fair for everyone and allows more posts to be read. Talking of reading, do try and pop along to say howdee to some of the other lovely linkers and my awesome co-hosts. This week, you can link up here or bob on over and say hello to Paula at The Geeky Shopaholic, Jess at Confident Life and Shari at Good Food Week. It doesn’t matter where you add your link because it will appear on all four blogs, as if by magic! The link up will stay open until midnight the following Monday.